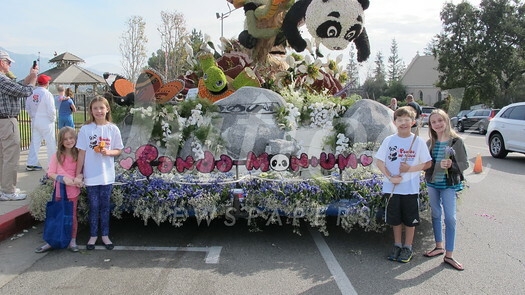 La Cañada Flintridge’s float, “Panda-monium,” was a hit with spectators and judges, adding a sixth Bob Hope Humor Award to the La Cañada Flintridge Tournament of Roses Association’s collection. If the millions of television viewers who tune into the Rose Parade each year know anything about La Cañada Flintridge, it’s that the town has a healthy sense of humor — and, apparently, a soft spot for pandas. 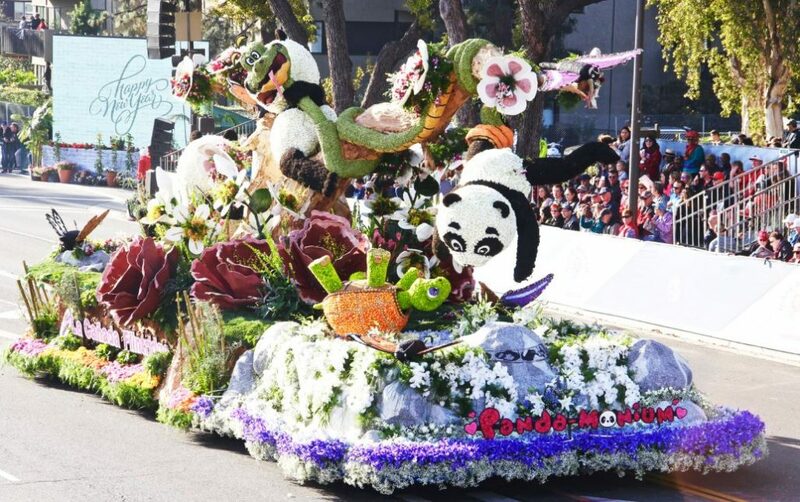 For the third consecutive year and fifth time in the past seven years, the La Cañada Flintridge Tournament of Roses Float Association produced an entry — “Panda-monium” — worthy of the Bob Hope Humor Award. LCF’s entry has earned an award for seven consecutive years, and 29 times in its 40-year history. 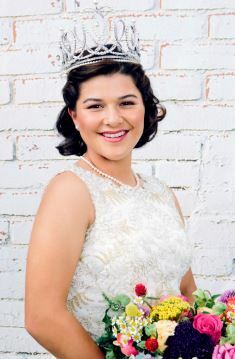 Tournament of Roses 100th Queen Isabella Marez is a senior at La Salle High School. If 100th Tournament of Roses 2018 Queen Isabella Marez is not polished in her picture-perfect royal attire during this year of reign, you’ll find her in her other favorite outfit of choice: scuffed up softball cleats and dirty practice gear. It’s a dichotomy that reminds those around her of the Royal Court’s transition to modern times, and that a girl these days can be, above all, all things. Aside from being one of Jacobs’ favorite animals, pandas serve as suitable mascots for the theme of this year’s parade, “Making a Difference,” said La Cañada Flintridge Tournament of Roses Association President Chuck Terhune. About 50 years ago, he explained, China and 20 other countries started coordinating programs to breed pandas, and they’re finally starting to release some of these pandas into the wild. 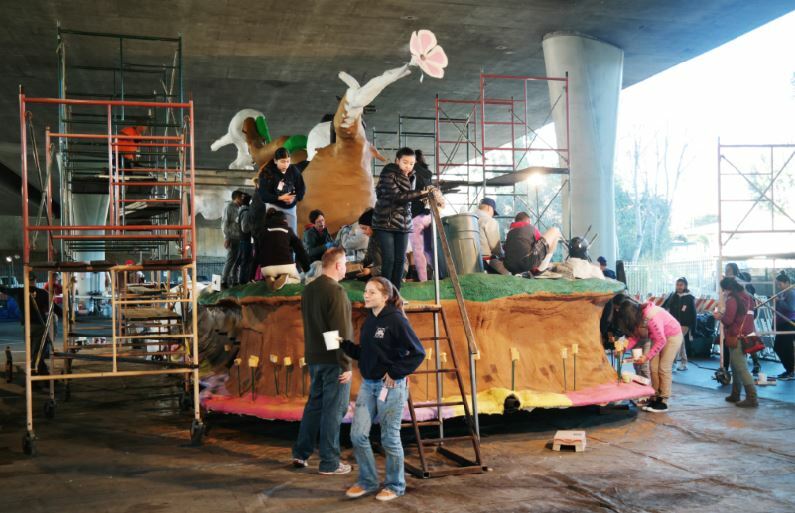 Volunteers prepare “Panda-monium,” which will be the La Cañada Flintridge Tournament of Roses Association’s entry in the 2018 Rose Parade on Jan. 1. 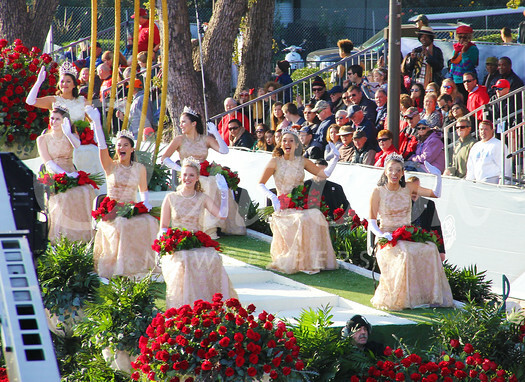 Pasadena Tournament of Roses President Lance Tibbet is inspired by the ways in which so many bands make a difference in their communities. 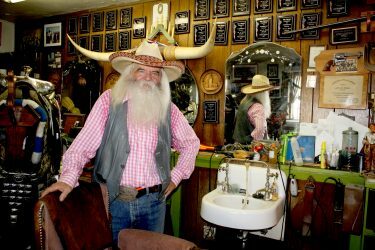 Lance Tibbet’s Pasadena roots are deep. 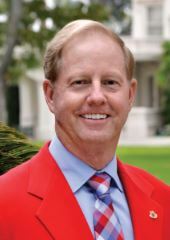 This year’s Tournament of Roses president was born and raised in Pasadena; he graduated from Pasadena High School and attended Pasadena City College. His business — wholesale nursery Magic Growers, Inc. — is based in Pasadena. “I went through all the schools, my business is here, I live here, a few years ago I said, ‘Maybe I’m a little too provincial, maybe I need to get out into the world?’” Tibbets said. In the past year, he’s certainly accomplished that — in the most Pasadena role of all. 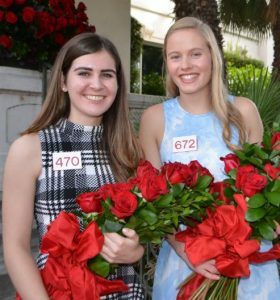 La Cañada High School’s Julianne Lauenstein (left) and Georgia Cervenka were among the seven young women selected to the Tournament of Roses Royal Court at a ceremony on Monday in Pasadena. 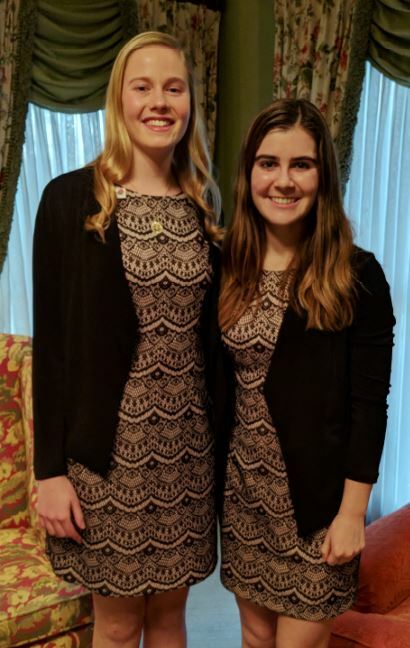 In Pasadena on Monday, seven Rose princesses — including two from La Cañada High School — and 30 other finalists were celebrated for their goodness, just hours after horror transpired in Las Vegas.